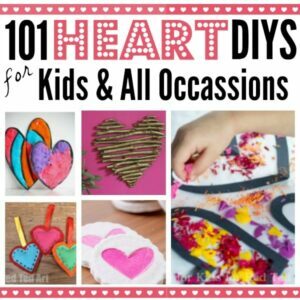 We do love Kids’ Valentine’s Day Crafts! 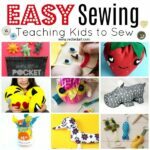 Today we have a gorgeous guest post that also teaches kids to sew. 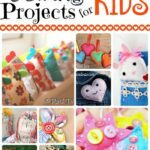 What a lovely heart sewing project for kids indeed! And we are back, for another year of hearty crafts with RED TED Art. 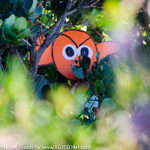 We are the se7en gang, a homeschooling family waving hello from sunny Cape Town. We are a family with eight kids, when we started blogging they were all tiny… but now they are growing up fast. 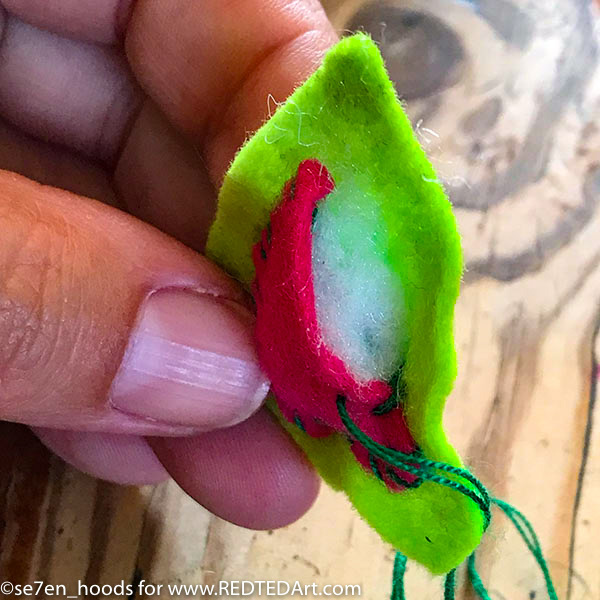 You can follow our homeschooling journey and outdoor adventures at se7en_hoods on instagram. 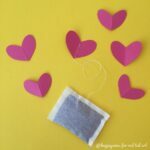 We like to decorate a valentine’s tree every year. 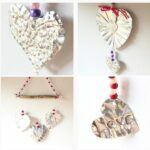 We decorate it with little hearts, that we can gift to friends when they visit on the day, just something small they can pop into their diary, or use as a bookmark or pin onto their noticeboard. 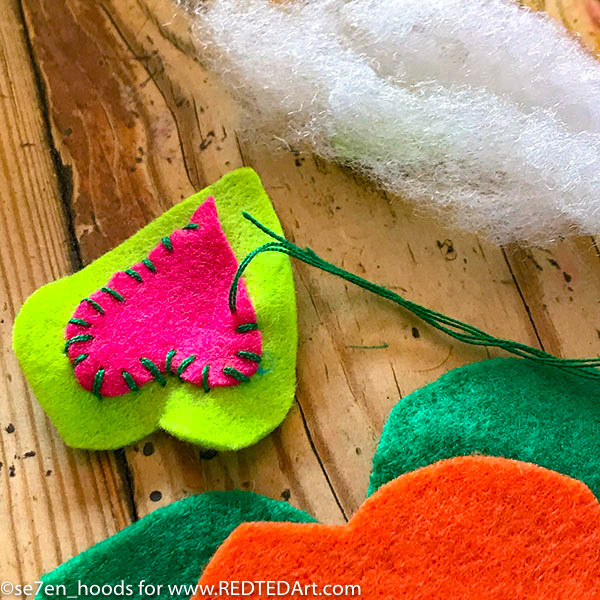 We thought we would share one of our hearty crafts that we have been creating this year and my kids have been asking for a sewing craft forever… so here you go: Little Felt Hearts to hang on a Valentine Tree. 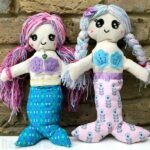 This is a really easy beginner sewing project, perfect for those new to sewing and will capture the attention of more experienced sewers too. 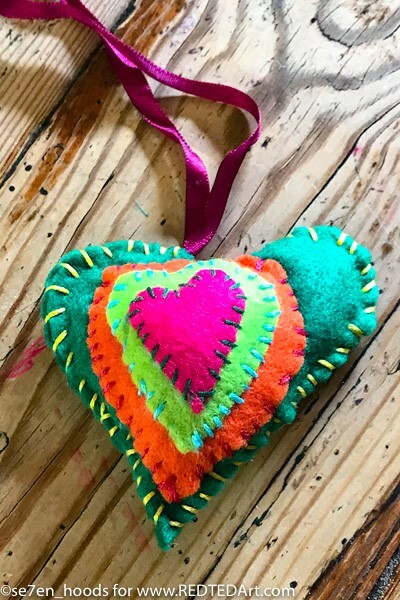 There is absolutely no need to have perfect stitching skills, because the brightly coloured felt is very forgiving and will carry these hearts through. 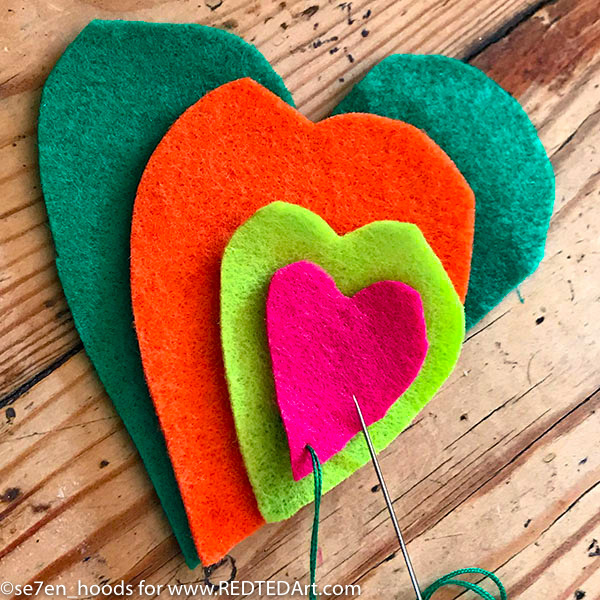 First cut out a number of hearts, in various sizes starting with the smallest heart and moving up until you have the size heart you would like to create… They don’t have to be cut exactly using a template, the rougher they are the more arty your results will be. 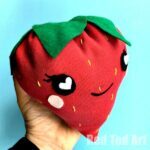 This could be small enough to hang on a valentine tree or large enough to turn into a cushion. 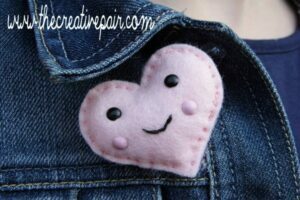 Make sure you cut a pair of hearts for the biggest heart, because that is going to form the back of your hearty creation. 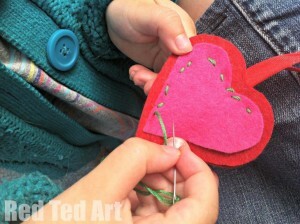 The next step is to stitch around your smallest heart, and stitch it onto the next size up in your pile of hearts. Leave a little gap, to add some stuffing. 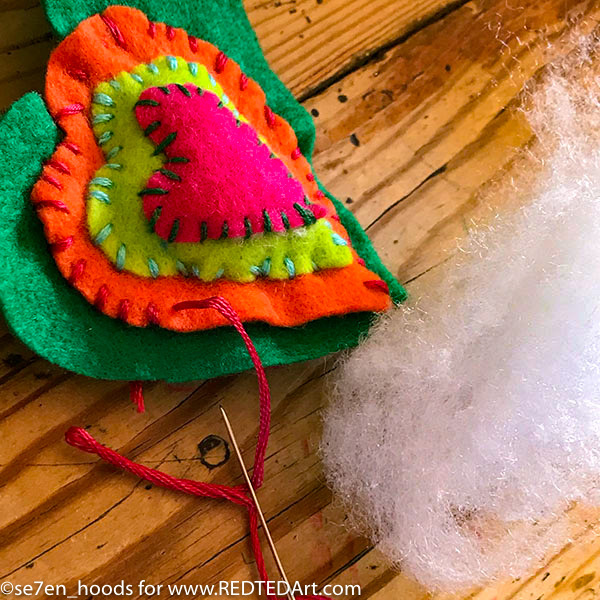 Before you stitch it completely closed take a little stuffing and pop it between the layers. Stitch the gap closed… and move on to the next layer. 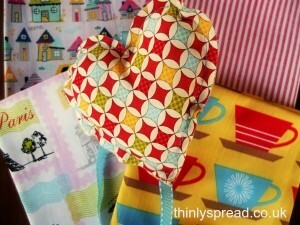 Repeat sewing little hearts onto bigger hearts and adding stuffing between the layers as you go on. 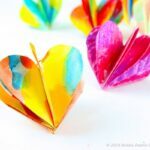 Keep adding hearts to your creation until you reach final lane. 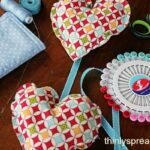 When you get to your final layer, sew the two pieces that you cut out, that were the same size together… try and remember to sew a ribbon between the layers as you go past the top of the heart, and then pop the stuffing inside and before you sew it closed, you could add a little lavender. 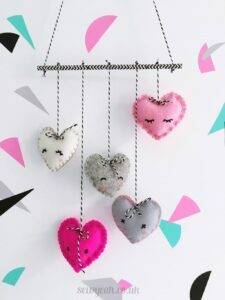 Once it is stitched shut, you have a lovely little heart to hang up and give as a gift to a special friend. 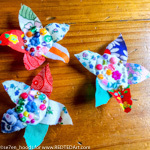 As our RED TED Art friends head towards Springtime in the Northern Hemisphere, I thought we could show you a couple of spring themed crafts: Something outdoors, something floral, and something playful. 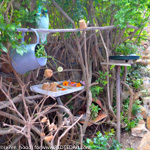 Se7en Create a Bug Hotel and Welcome Wildlife into the Hedge.